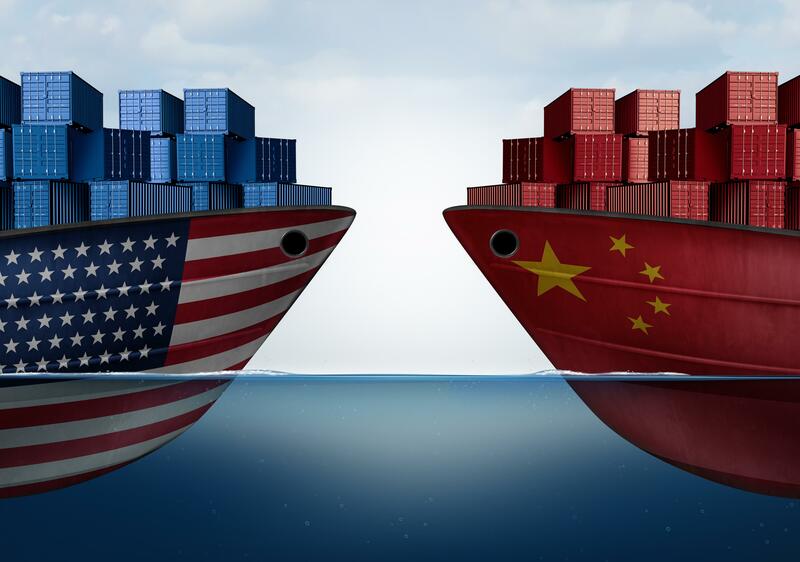 International trade has been a growing concern over the past several months with tariffs and other trade barriers already having been implemented alongside increasingly hostile rhetoric, making a near-term resolution unlikely. It has been difficult to keep track of all the maneuverings due to the wide variety of participants (namely the US, Canada, China, Europe and Mexico) making new announcements seemingly every week since January on a wide swath of targeted goods ranging from steel and solar panels to bourbon and ketchup. Certainly, there are legitimate gripes, particularly surrounding China’s treatment of intellectual property and market access limits, but the current unilateral approach by the US (and simultaneous escalation of trade tensions with other large trading partners) raises concerns that the negative effects will more than offset any gains in the form of “fairer” trade, assuming even that can be achieved. And while many of the “trade war” news stories focus on tariffs, other so-called soft barriers should not be ignored. Some examples include leaving perishable goods to rot at ports of entry while awaiting inspection, nationalist boycotts (which China has used with some success in the past), blocking merger and acquisition activity, and increasing red tape (enforcing existing regulation more stringently, creating new taxes or unnecessarily complex consumer safety rules, and so on). So, how concerned should investors be? Markets are offering mixed messages. Looking internationally first, Chinese stocks entered “correction” territory recently with a market decline of greater than 10% from a recent peak. Mexican stocks flirted with “bear market” territory after declining nearly 20% from mid-April to June. Other recently targeted trade partners fared better, though, with European and Canadian stocks only down slightly year-to-date. Turning back to the US, the broader market has proven resilient but with a wide dispersion of returns across segments and sectors. Large cap US companies (many of which generate a large percentage of sales overseas), as measured by the S&P 500, were up 1.7%, while more US-centric small cap companies gained 7%. Industrial stocks, whose manufacturing companies will suffer disproportionately from trade restrictions, slumped nearly 6% in the first half of 2018. Consumer Staple stocks also struggled, dropping 10% over the first six months of the year, although this can probably be attributed more to rising shipping costs and higher oil prices which, in turn, drove the Energy sector up 5%. The tariff announcements, at least from the US point of view, tried to avoid directly applying to consumer goods (up until an early July announcement by the Trump Administration that will, if enacted, target a wide variety of consumer goods). The bigger target for trade restrictions so far has been intermediate goods, or those used by manufacturers to produce final products. This raises costs for producers, which will eventually need to be passed on to customers or could even lead to production cuts if higher prices reduce demand. So, that inflation we discussed in The Fed’s New Dilemma: Inflation, may not hit consumers right away, but risks have grown. Another area to keep an eye on is the usually sleepy municipal bond market, where announcements of tariffs, particularly on agricultural products, have created new risks. The state of Iowa, for example, may see shortfalls in revenues due to trade restrictions put into place by China on soybeans and pork. Kansas, Nebraska, and Indiana may also be more adversely impacted by these restrictions. Credit ratings agencies have recently been highlighting new risks for shipping ports and other export dependent localities in the municipal market. More generally, if companies close plants to move production overseas, local jobs will disappear, reducing sales and income tax revenues and increasing costs for the impacted municipalities. The broader economic impact from this trade war, at least from what has been announced thus far, may total just a fraction of a percent of lost US Gross Domestic Product, especially with the tailwinds of low unemployment, high corporate earnings growth and the recent stimulative tax cuts. Still, it is important to monitor any spillover effect from businesses deciding to hold off on new investments or hiring until “the coast is clear.” And we are already seeing companies like Harley Davidson and BMW announcing plans to move production overseas as a direct result of new trade restrictions. Interest rates, especially on longer maturity bonds, have unexpectedly declined in recent weeks, possibly pricing in lower expected future growth and steadily marching toward a dreaded yield curve inversion. So, where does this all leave us? Like many of the “sky is falling” narratives over the past several years (failing Greece, China’s debt bubble, Brexit, US government shutdowns and debt ceiling threats, etc. ), this too could fade quickly in the rearview mirror, having had little long-term impact on markets. Or, these events could (in hindsight) mark the beginning of a recession, an historical inevitability of economic cycles. Unfortunately, it is virtually impossible to say in real time. We believe broad diversification with an emphasis on value and with biases toward both stocks paying strong dividends and high quality bonds will continue to provide our Clients with superior downside protection whether the overall markets continue to climb, crab sideways, enter correction territory, or experience a bear market.